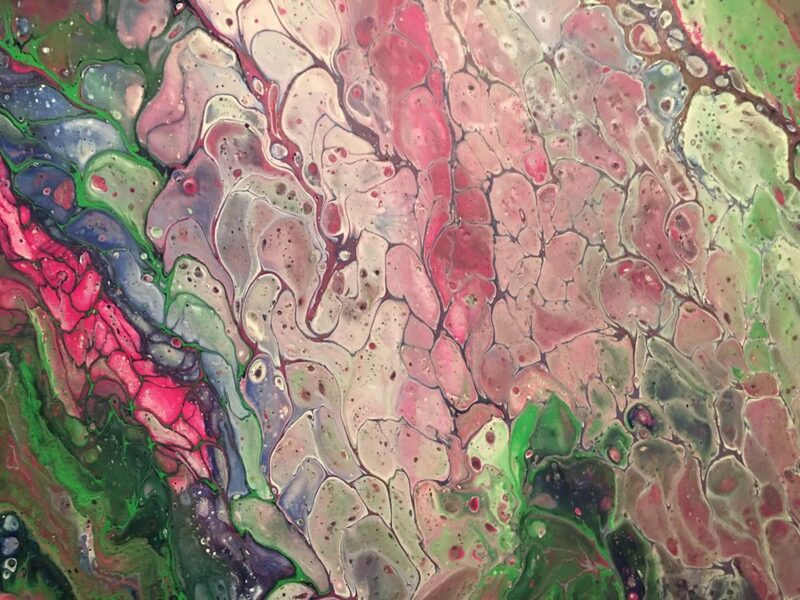 In this lively painting class, you will learn a style of painting called acrylic pour – a fun and interactive method that results in mesmerizing swirls of color and texture. We will focus on color selection and basic technique while creating two 5×7 canvas panels. A great painting class for beginners! Please enter through the 5th Street door. Teaching Artist Bio: Theresa Henderson, a previous ACE board member, has loved making art for many years. She also loves to teach acrylic pouring classes. She is self-taught and her students are enthusiastic about their results in this fluid fun painting style. This style allows for improvisation and an explosion of color on the canvas. In July and August of 2018, Theresa had a solo show in the Art Center East Co-Op gallery displaying her acrylic pours.